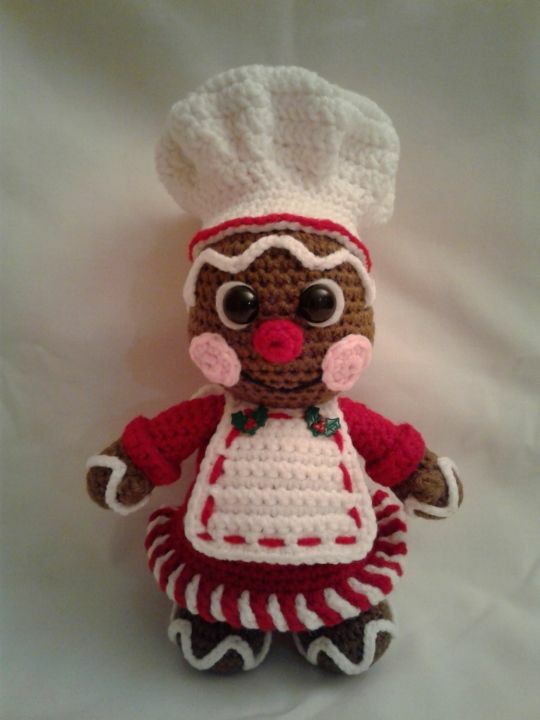 Meet GINGER the GINGERBREAD BAKER GIRL. She stands 10 1/4 inches tall to the top of the chef’s hat. She’ll make a great gift. She is just waiting to be loved and cuddled. She has safety eyes. Pictures do not portray the vibrancy of the colors. Sometimes the picture colors may be off depending on the colors and flash etc. She has such adorable patterns.